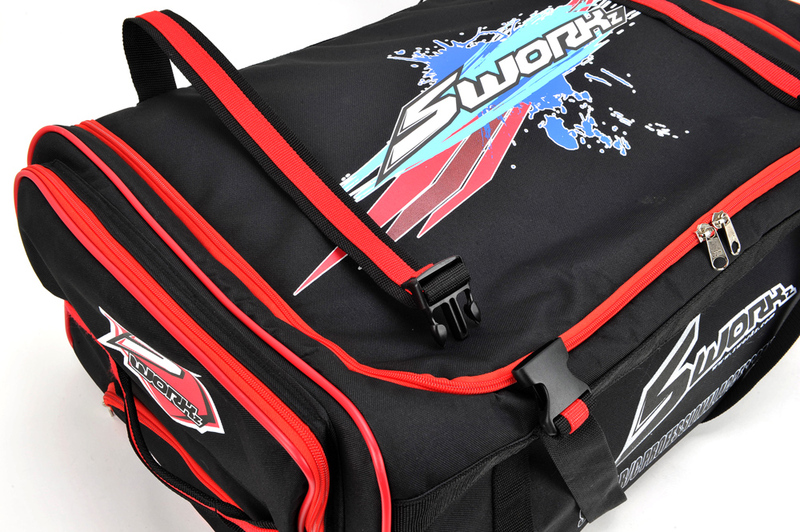 The brand new SWORKz Jumbo Trolley is the most easy and light weight RC bag for air travel or any rc outings. 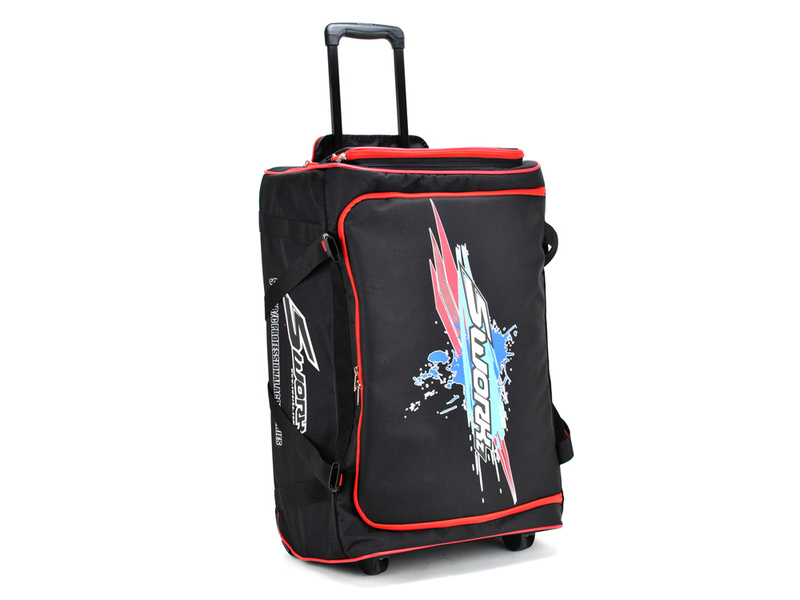 This Jumbo Trolley is about the size of a 30 inch suitcase but only weighs 3.8kg. The internal volume is around 100L with its plastic bottom insert. 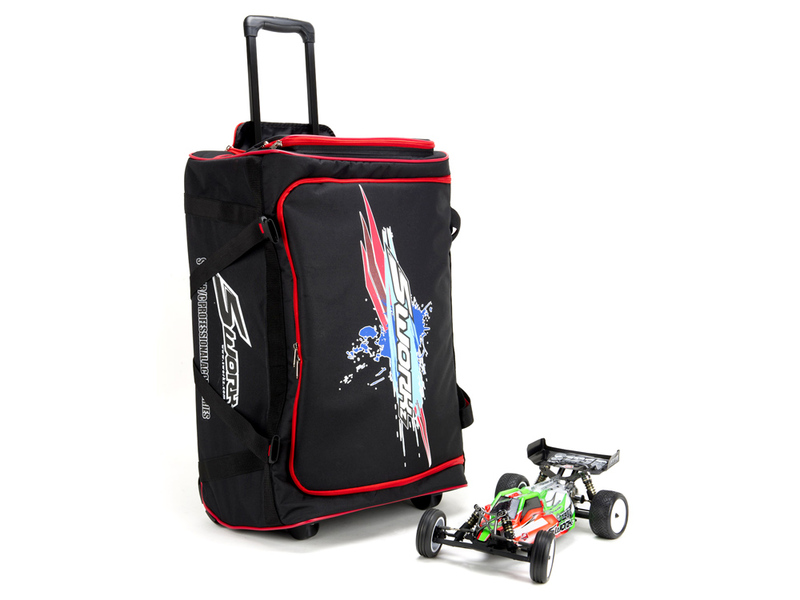 It is designed for RC racing with a big handle bar that can be adjusted to a 2 step length. When you check in, there is also a zipper that can cover the handle bar. We know RC equipment is always not light, so there is a sport string with clip knot. Its 75mm high quality wheels with ball bearings hidden at the bottom provides the user the ease to move it around. All the entry covers have strong zippers and lock holes. You can also put your personal documents in the top pocket that has a strong zipper cover. 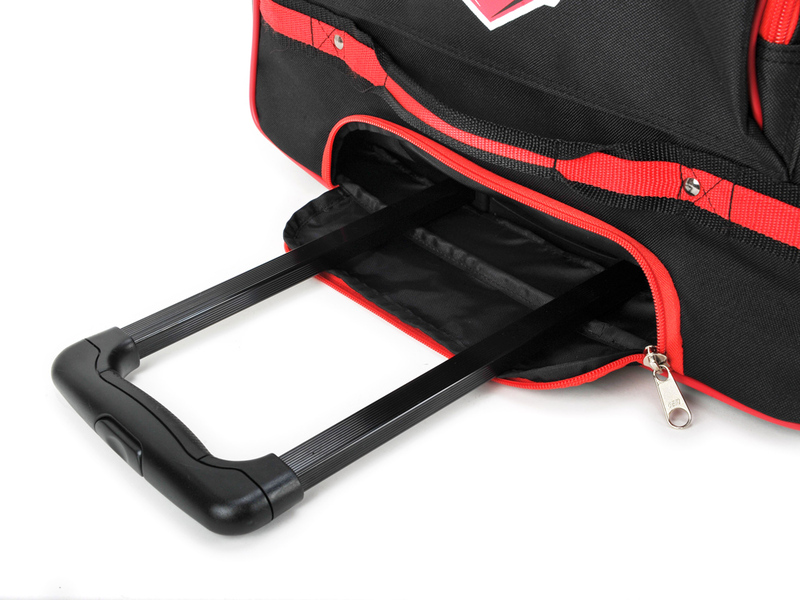 This Jumbo Trolley is made from tannic materials, so it can protect your rc equipment from dust and water. Size: 35x55x75cm. 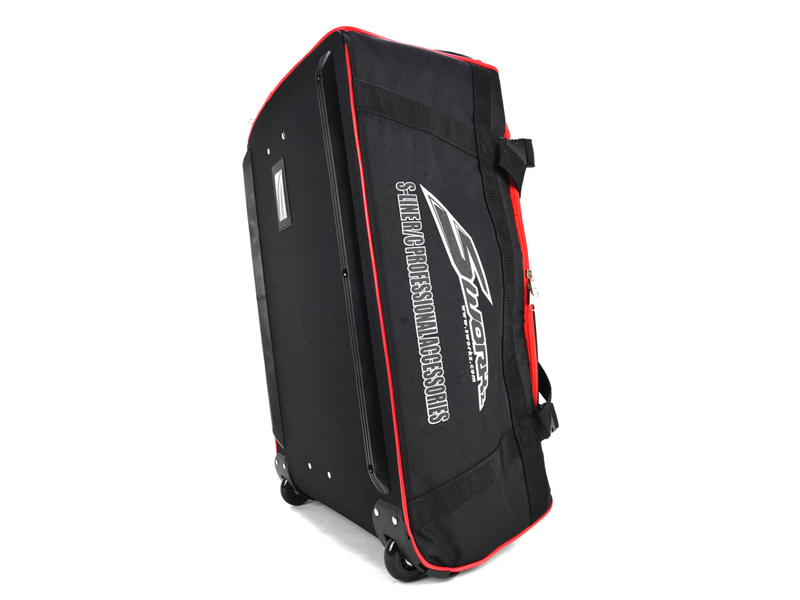 30 inch suitcase size. 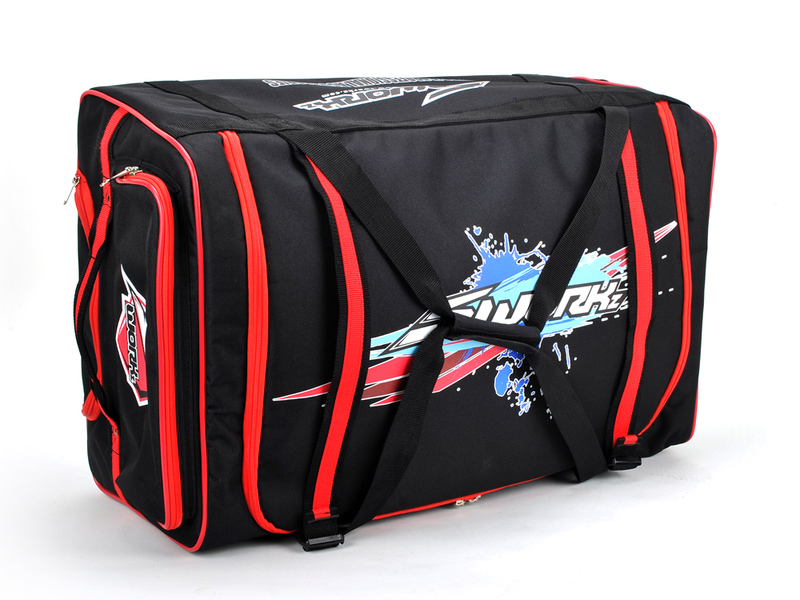 Net weight 3.8kg with a 100L inside volume. 75mm High quality wheels with ball bearings hidden at the bottom. 2 steps length big handle bar with zipper cover. Sport string with clip knot. Strong zippers with lock holes. 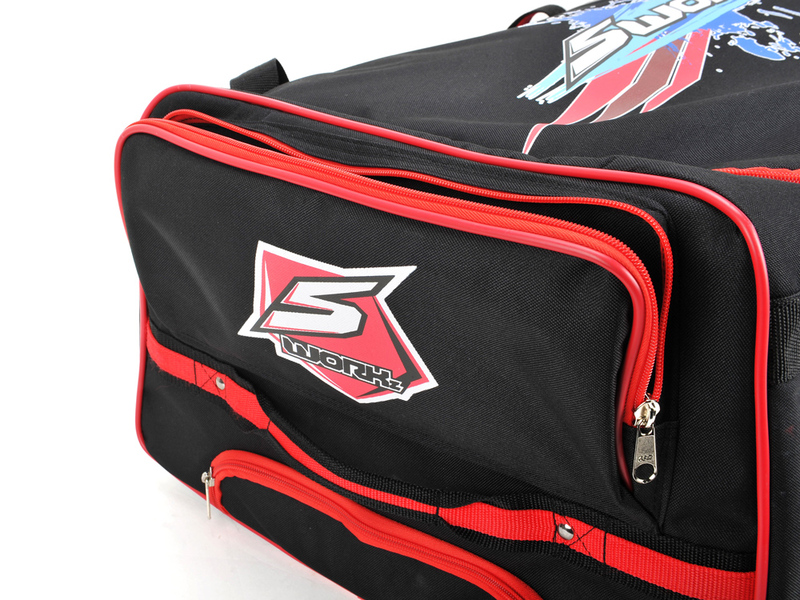 Top pocket also comes with a strong zipper cover.